"We don't know… what's out there…" 20th Century Fox has debuted the first teaser trailer for Wes Ball's The Maze Runner, adapted from the novel of the same name by James Dashner, who also worked on the screenplay. This story is about a bunch of kids trapped in a brutal game (another Hunger Games follow-up) but the game is actually a gigantic maze they're trapped in. Directing is Wes Ball, of that short Ruin, who's making his feature debut with Dylan O'Brien, Kaya Scodelario, Will Poulter, Patricia Clarkson & Thomas Brodie-Sangster in his cast. This actually looks pretty damn good, it has a nice sci-fi tinge to it, I'm looking forward to seeing what's out there. "I think it's time we find out what we're really up against." 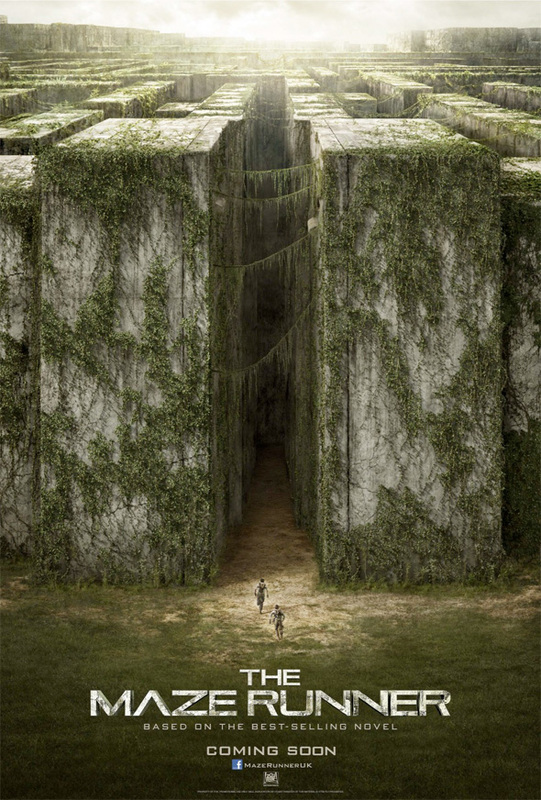 First poster above for The Maze Runner also just debuted today. For more updates visit the film's Facebook. This looks awesome! I've never heard of the books before and they already have me hooked! The books are amazing, highly recommended. Trust me, the premise is different. They're both dysotopian young adult novels but that's where the similarities end. i didnt know the game app was that intense. Looks a lot less like Hunger Games than anticipated. I'm in. You mean the Cube meets Lord of the Flies... Maze Runner is not a dystopian story about rebellion. "It's a girl." Oh shiiiiiit!